A trio of gun control laws are advancing through the Maryland General Assembly, including one that would ban gun accessories like bump stocks. 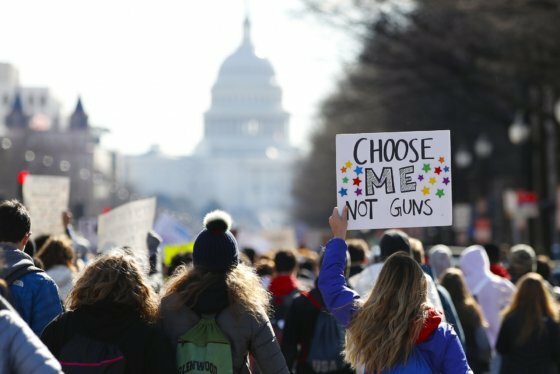 WASHINGTON — While thousands of students across the U.S. walked out of school to push for tougher gun laws on Wednesday, Maryland’s House of Delegates worked to advance a trio of new regulations, including a ban on firearm accessories known as bump stocks. The devices, which enable guns to fire like automatic weapons, were used by the shooter who killed 58 people in Las Vegas last October. Maryland is moving forward with the ban despite the threat of possible legal action by the National Rifle Association. “This is a common sense bill,” said Del. David Moon, D-Montgomery County. The NRA filed a lawsuit against the state of Florida after the state passed a far-reaching gun violence law following the February high school shooting in Parkland that left 17 dead. Bump stocks were not used in the shooting, but a ban on the devices was included in the legislation. Although Maryland’s ban has bipartisan support, there were concerns raised Wednesday by Del. Seth Howard, R-Anne Arundel, who owns a bump stock. Howard unsuccessfully tried to change the bill, making it legal for someone to own bump stocks as long as they purchased them before the law took effect. “You’re getting ready to make me a criminal for possessing something that was on sale and on the market for years,” Howard argued. 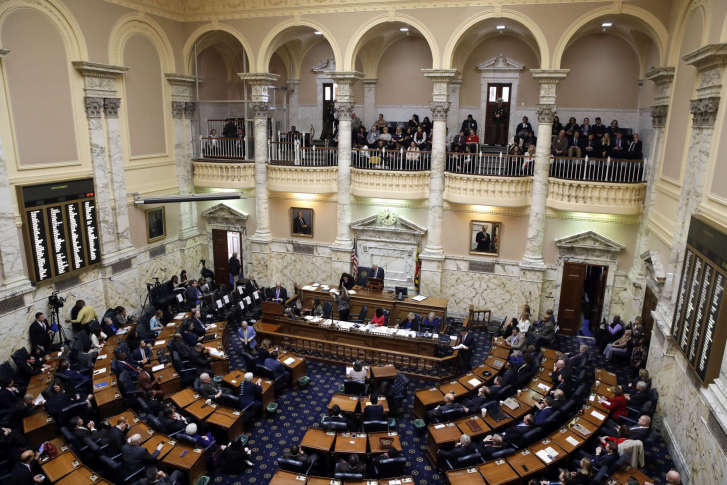 Another bill that is advancing with bipartisan support in Maryland’s House would allow courts to restrict someone’s access to guns if police or family members believe they pose an immediate danger. “There’s been a consensus by both parties that guns should be taken away from individuals whose behavior suggests that they’re a danger to themselves or others,” said Del. Geraldine Valentino-Smith, D-Prince George’s. A third measure, already approved by the state senate, would force someone convicted of domestic violence to surrender their guns. “We’ve all been reminded why we need this bill in Maryland,” said Sen. Will Smith, D-Montgomery, alluding to the death of a Prince George’s County police officer who was shot in February while trying to protect a neighbor during a domestic dispute. Republican Gov. Larry Hogan has voiced support for all three bills.